This is a table top model vulcanizer with pre-drilled holes for easy mounting. It is ideal to eliminate unevenly vucanized molds with aluminium heating plates. It has On/Off Power Button and Thermostat Pilor Light with Automatic Temperature Controller (Optional) and One Hour Timer. 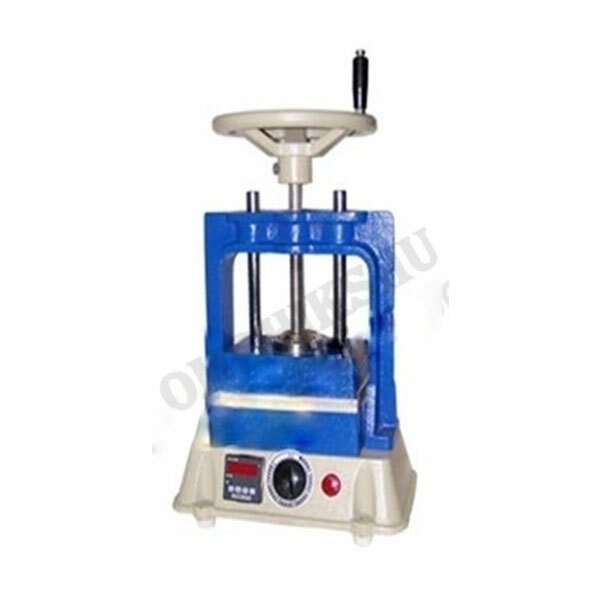 It has large wheel for maximum leverage, large bars to prevent top plate from moving. Available in both Analog and Digital models.